Lent is a time to prepare for the renewal of Baptismal Vows. Today’s readings specifically address commitments to our faith. In the service of Holy Baptism (BCP 303), we are invited to “. . . join with those who are committing themselves to Christ and renew our own baptismal covenant.” Keeping covenant means making right choices (the narrow road) and joining Jesus “on the way” to Jerusalem. Our Old Testament lesson is an example of a covenantal relationship that our faith has built upon. Abraham’s faith is what makes him righteous before God, and the rite described here in Genesis indicates the serious nature of the relationship that is established between Abraham and Sarah’s descendants and God. Psalm 27 expresses the faith in the Lord that was exemplified by Abram, “The Lord is my light and my salvation; whom shall I fear?” Paul also speaks to the converts at Philippi, giving them an example of how the Christian life is often lived counter to the world’s values. God gives us choices, which Jesus reminds us in today’s Gospel. We are again reminded of the covenant God made with Abraham and the consequences to those who have forgotten that covenant. Being heirs of Abraham does not automatically make one an inheritor of God’s Kingdom. 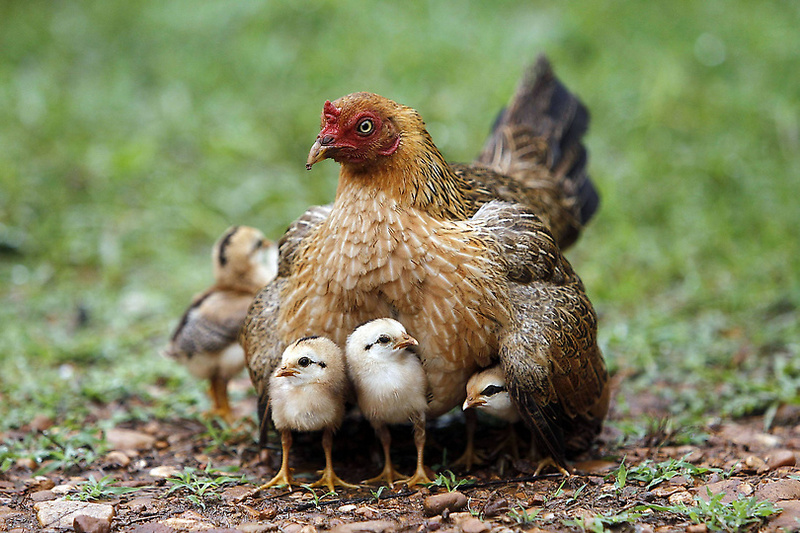 We are called to care for one another, just as a mother hen cares for her chicks. Just as God cares for us. And we are called to respond to that love through action toward others, reciprocating that love. During the season of Lent, we are challenged by our memory of what is to come. We know that Good Friday is ahead and that crucifixion comes before resurrection. We know what is to come because we already have been this way. Jesus challenges our notions of who God is and our visions of God’s reign. We are also challenged to expand our understanding of God to include images of a strong, nurturing presence alongside those of judge. Our ideas of what constitutes justice and mercy are complicated by the words and deeds of Jesus. Today might be a good day to review those Baptismal Promises. According to today’s gospel, what will be required to be saved or to enter the Kingdom of God? What does it mean for the first to be last? What is your understanding of the Kingdom of God? How do all of today’s readings concern the life of discipleship? Where are there warnings in today’s readings? Where is there hope? This entry was posted in Baptismal Covenant, Lent and tagged Abraham, Baptismal Covenant, Baptismal Vows, covenant, Discipleship, Lent. Bookmark the permalink.